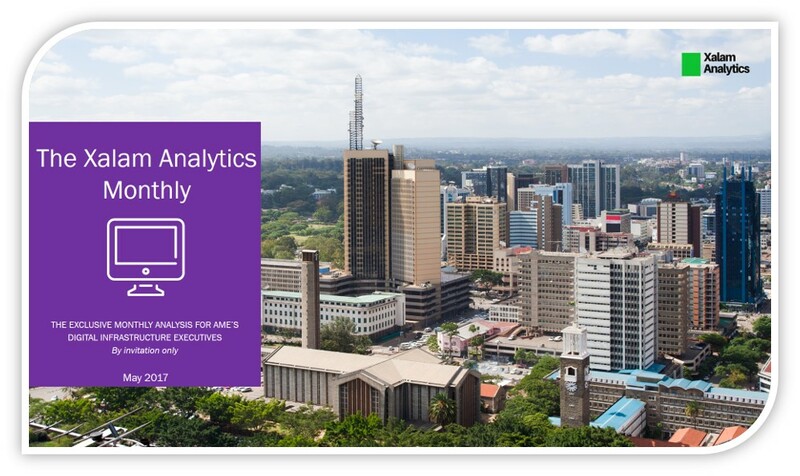 The Xalam Analytics Monthly is a free, invitation-only report published once or twice a month. 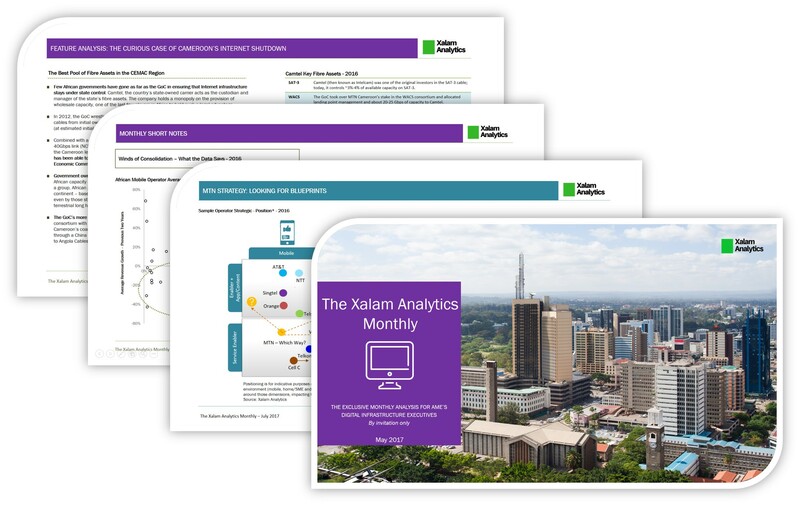 The report draws from Xalam’s client-only reports and provides our insights on key trends and events in the Middle East and African technology space, with a focus on digital infrastructure and services – mobility, cloud, IoT, connectivity and more. And all from an investor’s lens and a direct “where’s the money” focus. The Xalam Monthly is available to Xalam Members only, on a complimentary basis. Two thirds of our public research is made available through our Member-only content, including the Xalam Monthly. Subscribers receive Insider-only content including sample reports, market forecasts, presentations and exclusive previews on new reports. We believe in numbers and visuals: our monthly report format gives us the formatting flexibility to convey the depth of our analysis in the manner we prefer – through charts, numbers, maps and other visuals. We do not have the pretension of writing for the broader public. And we like to know, broadly speaking, who reads our stuff. Understanding our community allows us to prioritize, calibrate our research efforts and provide insights and analytics our community can actually use. We take privacy seriously. We hate spam, and as a policy, we do not spam. You will not receive more than two emails a month from the Xalam Monthly, and your email is not shared with third parties.